Nike has made a habit of rolling out a special edition pair of Dunks in celebration of "Weed Day," and that trend will continue on April 20, 2019. This time around, Nike is honoring the dog walkers of the world with a special edition colorway of the Nike SB Dunk High. 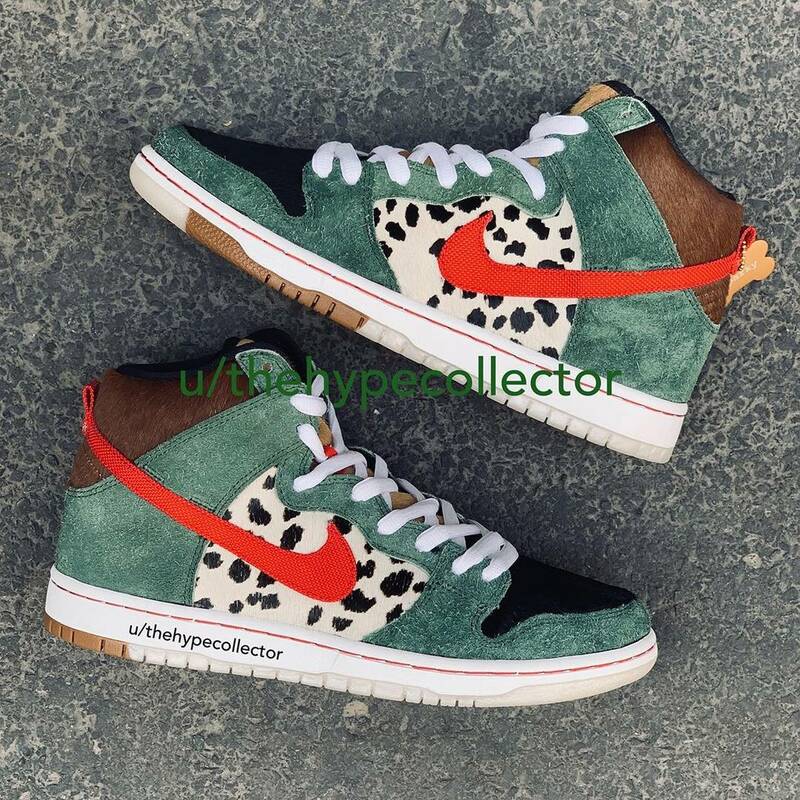 The "Dog Walker" Dunks feature a range of different canine-themed details, as well as a hairy green upper that likely serves as a nod to the unofficial holiday. According to reddit user TheHypeCollector, the special edition sneakers also came equipped with a metal bone hangtag as well as decorative insoles featuring a variety of different dog breeds. Nike has not yet officially announced release details for the "Dog Walker" Nike SB Dunk High, but we expect to learn more in the near future. Stay tuned for additional images as they become available.